In this guest blog, Dr Peter Mooney and Dr Liadh Kelly, Lecturers in the Department of Computer Science at Maynooth University, provide us with a comprehensive insight into the huge potential of Smart Farming Technologies to improve the efficiency and productivity of Irish agriculture, and how such a transition could occur. They also highlight that such technologies are emerging to complement and enhance the existing skillset and knowledge base of the farming community, but not to replace them. Every farm in Ireland has the ability to become a smart farm. A smart farm is one which uses technologies such as sensors and mobile-phone applications combined with agricultural, environmental and economic data to assist farmers in their decision making, planning and farm management. By exploring and integrating these types of smart farming technologies we believe all farms from small holdings upwards can become more efficient and productive. Why is a transition to smart farming in Ireland a good idea? Today’s farmer is not just a person who makes their living from agriculture. Today’s farmer also needs to be an accountant, an economist, a planner, a manager, etc. A transition to smart farming can supplement and assist farmers in the multi-faceted day-to-day workings of the modern farm. This will help farmers make decisions more quickly and with greater certainty. The knowledge and skills of farmers are supplemented and not substituted. Imagine the following smart farm scenario. Machinery such as combine harvesters, sprayers, tillage machines, etc. are collecting data about harvests, yields and soil conditions. This data can be integrated or joined to relevant, local, and up-to-date environmental information, weather data, etc. Animal herds are wearing GPS enabled trackers, enabling the creation of maps and analysis of their grazing, movement and other habits. Drones fly above crops and fields, with the ability to take high resolution photographs which can be automatically analysed to identify crop disease, poor soil patterns, etc. This scenario is not one of science fiction but is one of technological reality. How does the transition to smart farming in Ireland actually happen? To mainstream this vision of Smart Farming in Ireland will take effort, investment and time. However, the best time to start is now! Efforts must be made to mainstream smart farming into education and training, such as Agricultural Science curriculum at Leaving Certificate, College and University levels. Policy makers, research institutions and farming organisations will need to put effort and resources into disseminating and demonstrating successful Smart Farming use-cases at the farm level. This can be driven and facilitated by peer-to-peer exchanges, training and demonstration of Smart Farming, demonstrations at events such as the National Ploughing Championship or Tullamore Show. Smart Farming Technologies are a new and innovative set of tools which can be used by farmers on their farms. They provide the fabric to close the gap between agricultural research and rural development. Famers will be able to make more environmentally sustainable decisions. Crucially, it can provide farmers with more time to spend on other activities within their rural communities. These technologies are not an endpoint in themselves. Smart Farming Technologies are emerging to complement and enhance the skills and knowledge of farmers but not to replace them. Rumours of a future where robotic machines take complete control in agriculture are greatly exaggerated, inaccurate and generally unhelpful. There’s no need to throw away the boots and overalls just yet. Dr Peter Mooney is a lecturer in Computer Science at the Department of Computer Science in Maynooth University. Peter teaches both undergraduate and postgraduate courses on topics such as Database Technologies, Spatial Data Analysis and Mobile Application Development. His main research interest lies in the generation, management, analysis and usage of all types of geographic data. In particular he is interested in how citizens’ lives can be improved with better usage and availability of geographical data and information. 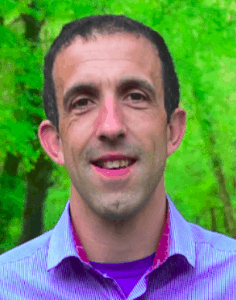 Peter was born and raised in County Meath and retains strong connections to his rural community and the countryside. Dr Liadh Kelly is a lecturer in the Department of Computer Science at Maynooth University, teaching students on topics in the space of multimedia technologies and data access and retrieval. Her research interests revolve around intelligent search and multimodal information access and retrieval. She is particularly interested in understanding individuals’ information needs and developing digital systems which automatically respond to these needs, and which support understanding, task completion and decision making. 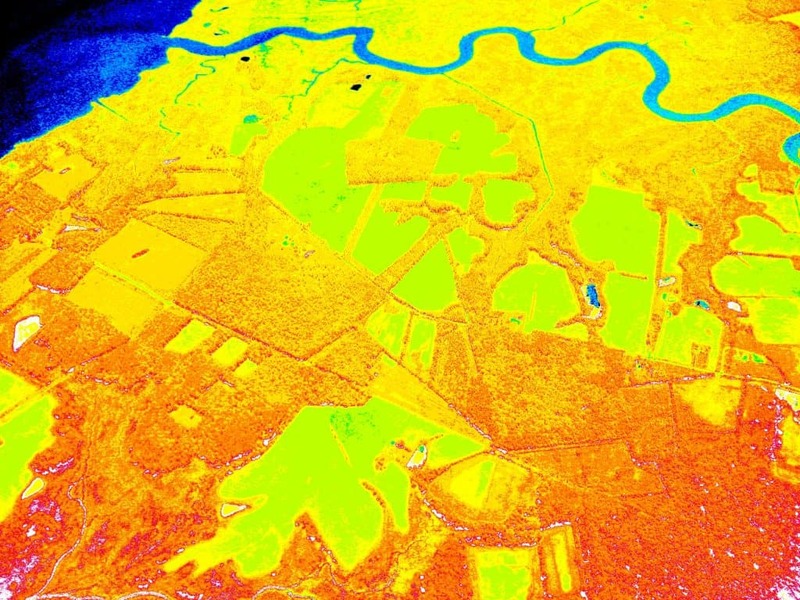 This is a processed image from a drone showing the NDVI (normalized difference vegetation index) of a set of fields with crops planted. Red typically shows problematic areas whilst colours towards yellow and green show greater crop health. Modern tractors such as the Claas Arion feature several dashboard interfaces to controls and other features such as field maps. If you are interested in writing a guest blog post on the topic of Farm Viability, EIP-AGRI or LEADER to be featured on the National Rural Network website and various social media pages, please email Dr Shane Conway, Researcher at NUI Galway and with the NRN for more details: shane.conway@nuigalway.ie. The NRN are always looking to highlight and promote innovative initiatives that will help inspire people in the farming community and in rural areas to maximize the success of the objectives set out in the Rural Development Programme 2014-2020.